Recently, our American Germany-expert Craig Morris described the Dutch reactions to the upcoming end of domestic gas in the Netherlands. Today, he explains – with help from an Irish researcher based in Denmark – why the Dutch are banking on district heat. The Dutch are running out of gas. 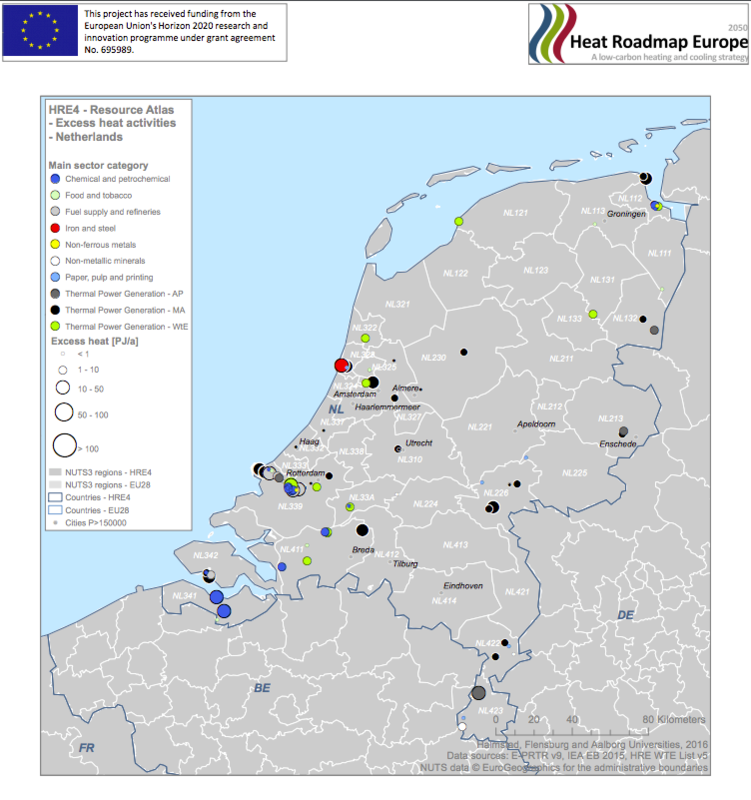 But instead of trying to use the existing gas lines to switch to renewable gas, the Netherlands is building up an entirely new network for district heat. Bart van den Heuvel, a Dutch citizen, doesn’t like the idea “as long as the network delivers waste heat from fossil fuels.” So he is fighting against being forced to buy this heat (report in Dutch). Generally, district heat connections are mandatory where available because consumers opting out would make the system less efficient and hence more expensive. A video explaining how to use the Pan European Thermal Atlas in Connelly’s project. Connelly is also spot-on with his assessment of why district heat networks are popular in some countries but not in others: “the reasons are not technical, but political,” he says. “Where you have fossil resources that need to be sold, you don’t have district heat.” Simply put, waste heat recovery increases efficiency and reduces consumption – so it’s bad for business if you sell energy. Too bad the Dutch had to run out of their gas resources before they did the right thing and started building district heat networks. But then again, they are no worse than the rest of us in that respect. Thanks, good catch, it’s been corrected! Power generation could come with it.